What the Yoke is Going on? 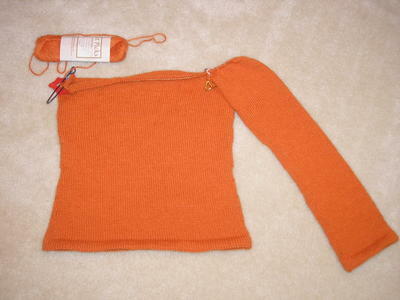 It looks all finished with the tails hidden inside the sweater. I'm dreading having to go back and weave them in. Can I use a 3 needle BO for those stitches on the holders? 3 needle bind off will create a little ridge on the inside of the sweater and a visible seam on the outside, Kitchener Stitch will create a smooth fabric on both sides. if you dont mind the little ridge under your arms i dont think it will really make such a big difference to the outward appearance of the garment, just a little seam in a concealed place.